Glow from within (well, almost!). 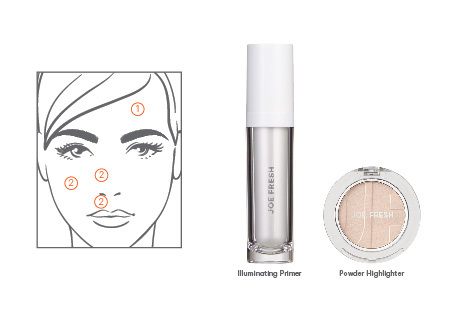 Start off every radiant look with this light reflecting primer. Lightweight radiant primer can be used used all over the face & body for an extra glow. Can’t get enough radiance? Add more glow with a healthy dose of silky powder highlighter to the cheek bones, bridge of the nose & cupids bow. Silky powder highlighter creates a natural healthy glow.